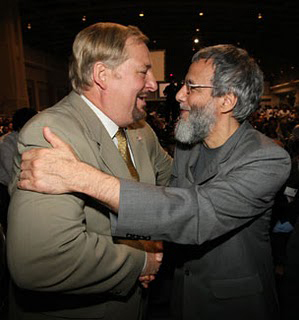 Just recently, Rick Warren, founder and pastor of Saddleback Community Church in Orange County California, addressed the convention of the Islamic Society of North America. Warren stated that Muslims and Christians must work together to combat stereotypes, promote peace and freedom, and solve global problems. Christians and Moslems – faith mates, soul mates and now work mates! 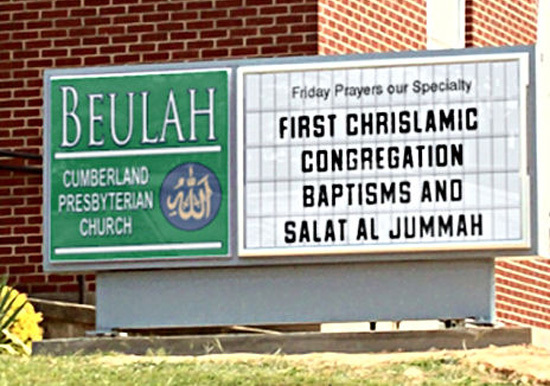 Chrislam!